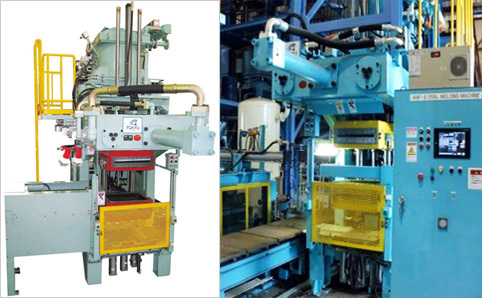 Home - NK MACHINERY ASIA CO., LTD.
Back to Fact-Link's Top Page > Production Equipment / Engineering > NK MACHINERY ASIA CO., LTD.
NK MACHINERY ASIA CO., LTD.
NK Machinery Asia Co., Ltd. is a manufacturing company that facilitates the casting. From installation, design, production, import and export of products with the cast in the Asian region such as Thailand , Indonesia and Vietnam. Until the sale of auxiliary materials in the casting. Service after the sale of the goods in question. Maintenance and repair of such goods. There is also committed to improving the casting industry to contribute to the development of international Including the expansion of the engineers and the. Casting plant. We are aware of the needs of customers and products. By production domestic Thailand and Indonesia to reduce the cost of imported goods. Maintenance, repair items after they are delivered successfully handle the most weight and are carried along with the plant to meet the needs of our customers.